The vendor of this software is called TechSmith, and it began famouse in the last years among many amateur video editors. How to use Camtasia Studio? It's more than a screen recorder or a basicaly video editing program! It offers high quality services and many advanced features to do professional tasks over many types of video files. With this software you can perform advanced editing tasks, like professional editors, and its interface is very easy to use. You can generate many multimedia formats, or interactive content and produce high quality videos for your audience. It's a trial software that can be installed and used with limitations up to 30 days, and if you want more (features ant time to use it), you need to buy a license! 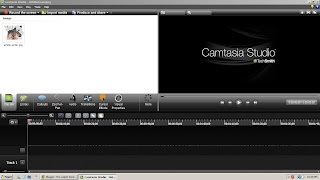 Personaly, I tried the trial version of Camtasia Studio software, and I was very satisfied related to its intuitive interface, and advanced functions for editing the video and audio files. I used it very easy for features like bluring areas, callouts, cutting, presentations, modifying the audio line, produceing and sharing high quality video files. Anyway, before buying Camtasia Studio I recommend you to try the trial version, and after that you'll be able to take the right decision!